The tape is removed from the top side of the tape rather than from the bottom making for quicker installation and disposal of the liner. Tape is creased down the center to make it easy to fold and install in corners. The thinness of PEEL AND STICK Tape makes it easy to work with and taping tools won't snag on tape when joint compound is spread over it. 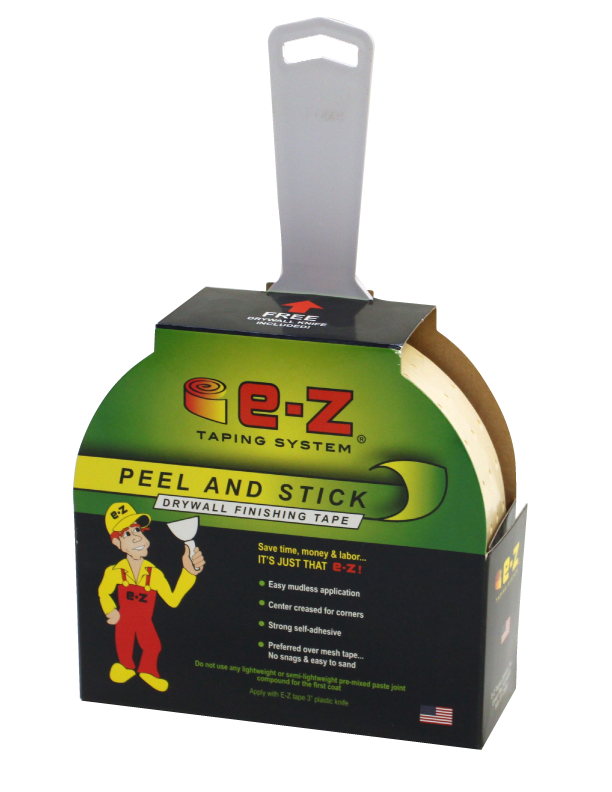 PEEL AND STICK Tape has holes in the surface that help provide better adhesion, and assist in leveling the tape. Check out our Tech Data page for additional information.